“There’s an app for that.” While this line has been used as a punchline for jokes in recent memory, the truth of the matter is there is an app for almost everything nowadays. This can also be true for pet owners. The Google Play store has a lot of apps for pet owners for Android phones, ranging from the silly to the incredibly useful. The following four are great for pet lovers of all kinds. The huge popularity of pet videos on the Internet offers plenty of proof that some of the things our pets do are downright goofy. Their silly antics never cease to cause laughs. But sometimes they do these things when there is no camera around to record. Yes, there’s an app for that. Pet Next Door is a social app that allows you to create a profile for your pet, and you can post stories about your pet’s antics, day-to-day life, and more. 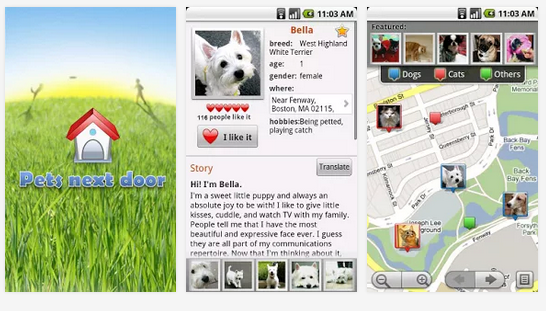 You can also read about other people’s pets, both from your general area and around the world. Other people’s stories can also inspire you to try something new with your pet. 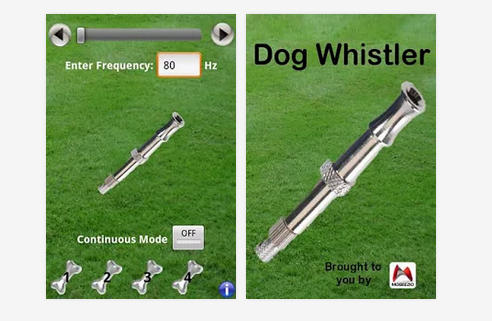 Yes, a dog whistling app for your phone. If you do not happen to have a dog whistle handy, this makes a great substitute. With a push of a button you can have your phone emit sound at a frequency you cannot hear, but your dog is sure to respond to it. This can make a great training utility, or it can simply be used to get your dog’s attention. You can set the frequency to perfectly match your dog’s hearing range, and the same can be true for cats. Given the nature of cats, though, do not expect them to do more than look at you in annoyance. Here is the app at Google Play Store. Need another pet in your life? This is the app for that. Fido Pet Adoptions allows you to browse for dogs, cats, horses, reptiles and more, and you can narrow the search down further by breed, gender, whether they are good with children, and almost anything else. The app needs a few permissions to work properly, including free access to an Internet connection, but it seems worth it for browsing for over 30,000 available pets in the US and Canada. 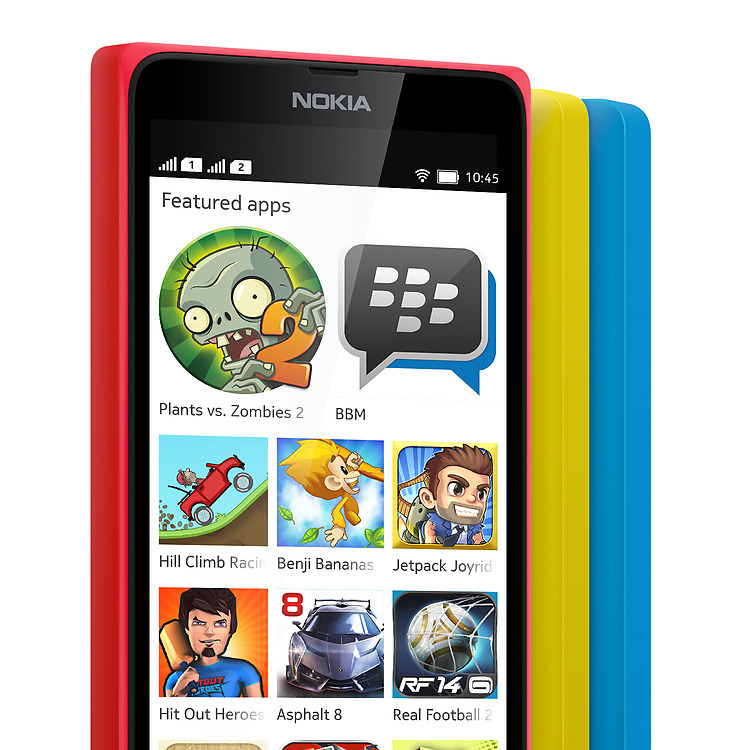 The app can be downloaded here. It is a sad reality that, sometimes, bad things happen to good pets. 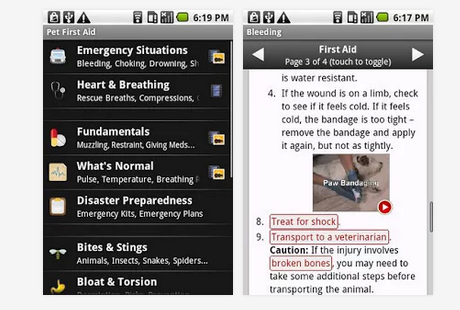 This app provides information for all kinds of emergencies, including step-by-step guides and video instruction on how to handle many different types of emergencies. These can range from how to properly restrain your pet to giving it CPR. You can download it here . Everything is included within the app, so an Internet connection is not needed to view the videos, and we advise you to look at some of the information before emergency strikes if you are going to be relying on this app. You don’t want your first time attempting first aid to be a time when life or death depends on it. Of course, no app should ever be considered a superior substitute for the opinion of a trained veterinarian. There are many apps for pet lovers on Google Play, and you can spend hours browsing through the store’s catalog looking for the apps most suited for you. Lisa West is a web designer and published technology writer from Tucson, Arizona.